Confession: For the past month, I’ve dreaded Thursdays. With that whole lame Crohn’s Disease thing coming at me full force, I found it difficult to push past how my body was feeling in an effort to think happy thoughts. So game on, friends. Time to be thankful, because it’s a beautiful day in NYC and life is good. Good morning, Upper East Side! I’m thankful Remicade Day went so smoothly yesterday. I made it to the hospital on time, got set up in my reclining chair, got the IV in with no problem (well, I didn’t, but my fabulous nurse did) and proceeded to pass out hard for the entire 3-hour infusion process. I was so grateful for the extra sleep. Normally I have a hard time getting comfortable — my left arm stays outstretched with a catheter in it, after all — but I got all cozy in the fetal position with a bunch of blankets and pillows and I was set. Remicade success! I’m thankful my days have been productive. I’m a procrastinator at work, and with looming deadlines, I’ve been forced to crank stuff out this week. As a result, the days have flown by. I’m thankful for spinning. Aren’t I always? Last night’s class wasn’t great because there was a sub in for my favorite instructor and I wasn’t really feeling her music or her slightly see-through pants. But everyone was working hard (and the AC was not) and the room got completely steamy from the abundance of sweat. Great success. My legs are still sore from this weekend’s race, but spinning is helping. I’m thankful that my Fairfield Half Marathon race photos don’t totally depict the misery I was in over the course of 13.1 miles. I won’t be purchasing any, but they’re not as horrid as I expected. How far away is the finish line? Are we there yet? This isn't as fun as people told me it would be. Waving…to my fans? Who am I? The video footage, however? That should be hilarious. I’m thankful that this morning’s run was exactly what I needed. I’ve been craving a solid run and between stressful races and a stupid stomach, it just hadn’t happened. But this morning, I got the run I’ve wanted. Coach Cane asked for “some intensity” today: one mile warm-up, one lap of the Reservoir at my marathon goal pace (I don’t even know what that is yet, honestly), one lap of the Reservoir at my half marathon goal pace (8:00) and a one mile cool-down. I took the warm-up easy (since it’s all uphill to the park anyway), then sustained a moderate pace for the first Reservoir lap. My stomach felt fine. The weather was perfect. The breeze of the water was cool. So when I started the second lap, I kicked it up — and I held on for dear life. Since the Reservoir loop is about 1.5 miles, these splits don’t totally make sense based on what I was doing, but I did the entire second lap never going slower than 8:05. I even cruised at a 7:50 for a little while. It felt so good to push myself. I’m not healed yet. There’s still progress to be made. But dang did today’s run give me a major confidence boost. I’m thankful Summer Fridays start tomorrow! At my office we get to leave on Fridays at 1 pm between July 4th and Labor Day. So not only do I get to skip out early tomorrow, I also get to finally get my long-anticipated massage. I cannot wait. I’m thankful for bright colors. Always. I’m thankful I leave for Orlando on Saturday. I’m headed out of town for a work trip and will be there for five full days — some working, some playing. I can’t wait to get out of the city for a bit and am excited to spend some quality time with Goofy, Donald and the Tower of Terror. I’m not necessarily excited about running in the Florida heat while I’m there, but I’ll survive. I’m thankful for pitas and hummus. It’s pretty much my main food group these days. I’m thankful for cold showers. After this morning’s run, my shower was the most wonderful, refreshing thing ever. I’m thankful for dark chocolate covered almonds. I ate almost an entire bag yesterday afternoon but saved just enough for my inevitable sweet tooth craving that should hit right around 3 pm today. I’m thankful the steroids are working. Peace out, Crohn’s Disease. Don’t come back for a while, because I hate you, and I will always beat you. Every single time. YOUR TURN! What are you thankful for today? 39 Responses to "Thankful Things Thursday: Comeback Time"
Love your work outfit today! I can never pull off orange! I am so happy things are getting better for you! You look awesome in the race photos, your legs look so strong! I wish I lived close enough to the park to do shorter reservoir runs, but by the time I’d even get there in the morning I would already have a couple miles done! I’ve had a very rough week, so I understand how you felt when you had to try to find things to be thankful for. I am thankful for July. I am excited about everything that is happening in July. Have fun in Florida… I am way jealous, I’d totally brave that heat to see Mickey and Goofy! I LOVE YOUR SKIRT!!! and congrats on the awesome run! I am thankful to not really have anything to do and to be watching Wimbledon! Also, awesome run! I ran with my sportband yesterday and I avg’d 10:09 pace — I was so made myself, but then I reminded myself that it was 85 degrees, 70% humidity, and hilly. So, to turn my frown upside down I’m going to say I’m thankful I’m able to run in tough conditions and, hopefully, it will make me tougher and stronger, too. Love your outfit today! So cute! Let’s see today I’m Thankful for my dad. He wrote a sweet facebook post for National Daughter week yesterday. I didn’t even know it was national daughter week. Sweet man! Love that guy. I’m thankful for lots of things today: that’s its already Thursday, the muscle class I took yesterday, my 9:05/mile pace yesterday which I’ve NEVER done before, Pinkberry, So You Think You Can Dance, my DanceWorks Boston friends, dance in general, you for motivating me (! ), health blogs, my blog, food blogs, the Tae Bo and/or yoga class I hope to take tonight, water, that I start my summer with NDA (National Dance Alliance.. but I’m sure you knew that working for DS!) on Monday when I get on a plane to Kansas… the list goes on and on today. PS – your arm muscles are awesome. I want my arms to look like that. More muscle classes please. I love love your outfit! You’re so positive! I love that skirt.. looks adorable! You always have cute skirts and dresses!! I am thankful for half days.. all summer! Gotta love teaching summer school! I am also thankful that the person who opened up at the g ym today.. was there on time. Last time I tried to go before work.. he was minutes late. Not cool, dude. Great solid run! My suggestion for running in Florida- run in the rain if possible.. It’s the only way to get a cool run in. Or, run SUPER early, like super. OR, run around 8:30. It’s not dark until 9ish. Running here isn’t fun, but it’s doable. Nice run, I’ll have to steal that workout. Glad things are looking sunny again. Have fun in Orlando! High Tea at the Grand Floridian is amazing! First of all – your race pictures are awesome. I’m intensely jealous. Second – love your work outfit. So cute! I’m thankful I get to play several rounds of golf this weekend with my uncle. Thankful to get to have one (ok several) drinks with my 87 year old grandmother this weekend!! oh yeah, and my wife and parents too…. Yay for thankfulness! 🙂 I’m thankful for triathlon shorts and yummy veggie burgers and improv comedy performances. I hope you love FL! Lucky for you, it’s been overcast and rainy down here, so the run shouldn’t be too awful. The highs have been in the 80s, instead of 100. * Casual summers at my work! I work in a school, and we get to wear jeans all summer long. I’ve missed wearing jeans on the weekdays. * My upcoming vacation to Canada! My fiance and I are driving to Canada for some traveling and organic farming. I can’t wait! * My amazing family. I’m grateful that I live close to my parents and am able to talk to my brother regularly on the phone. Ali! Your arms look super toned in your race pictures : ) Chisel works!!!! Such good stuff in this post where do I begin? You had an awesome tempo run!!! Thats awesome pace and I’m happy your tummy didn’t hurt. Really amazing that you can function on such little sleep. I wish I could. I’m a 7-10 hour a night girl. I am thankful that my workout is already done for the day!!! Cute outfit btw. Such a cute outfit!!! Love that skirt. I’m thankful for my upcoming trip to Orlando! I’m going there next week too – but not until Thursday. It’s Zumba instructor convention time!!! WAHOO! It will be good to release some stress with 3 full days of dancing. Also, so glad you are feeling better! I’ve been taking a hiatus from running after my first half marathon (some IT band pain) but after reading about your run, it has me itching to get out there…I think I need to wait longer though. DARN! What a great outfit! I love the orange! I am so glad you are feeling better it’s great that you are making an effort to get more rest. Have a great trip! Scream your lungs out on the Tower of Terror. I know I did when I was there 10 years ago! I’m thankful my weird calf/knee pain healed enough to let me get in a run yesterday morning.. here’s hoping for the same tonight! I’m also super thankful my boyfriend is coming in town tmrw for the holiday wkend! Woo! where do you work/what do you do for a living? YAY for things finally getting before for you! Sleep is important, but so hard to convince yourself when there are fun things to do at night! I just took my first spin class today, and thought about all your posts about spin class:) So today I’m thankful for your motivation that finally got me to try out spinning! I am thankful for the beautiful weather and my great schedule! I did a thankful thursday post today tooo! have a great trip! Those are great photos! You look like you are working hard but also enjoying yourself 🙂 And very nice splits – feels like to hit those paces you want to hit. 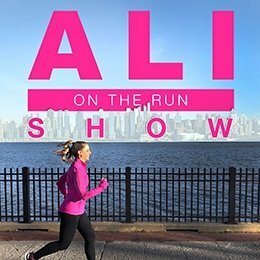 Go Ali! hooray for a great run! I’m so glad you’re feeling better. And you manage to look cute in your race photos – love them! Have you tried Trader Joe’s dark chocolate covered salted almonds? OMG, they are bananas amazing. You’re absolutely stunning in your work outfit!! I LOVE THAT SKIRT! Also, way to have ridiculously toned running arms. You’re on fire girl, get after it! I saw your going to orlando! I am going as well and getting nervous for the heat to run in as well! Oh my god, Tower of Terror = best ride ever. EVER! I was in the park early one morning and the ride was empty, so they let me ride in my own elevator. So, so awesome. I’m thankful you’re feeling better! I’m also really thankful that it’s summer and I’m having so much fun already. Enjoy that massage! 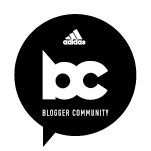 I started following you from Bun & Borough’s blog. I feel you are an inspiration. As someone who has a sensitive stomach myself (I, for one, can’t digest corn syrup which is in pretty much everything if you’re not careful! ), I have my ups and downs when I run too. 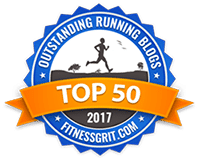 It’s nice to meet other bloggers who are runners but who aren’t just runners – have fought through challenges and still love what they do. That’s what makes you an inspiration. Hope you’ll check out my blog sometime. I’m going on my first distance run today! Nice to hear you’re feeling good again!